Available in A to D cup. Push up cup for extra boost. Gold/Ivory: The holiday go-to - aka - Beyoncé at the Grammys. Let's be honest, we all sat there in absolute awe as she graced our screens in that amazing outfit, I don't know what I was more jealous of, how she totally owned the stage in that outfit or how glorious she looked whilst pregnant (I certainly didn't look like that with one, let alone twins!) Urgh, I clearly missed my calling in life! But, no need to dwell, should you find that amazing dress hung on a sale rack in Zara (a girl can dream!) then this is the stick on bra for you. With the subtle gold/ivory colour of this stick on bra can go with all those gorgeous holiday dresses and tops and still compliment your tan perfectly, and not leave any strap lines! 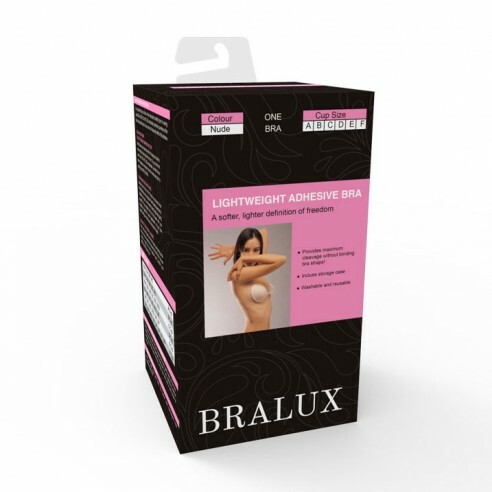 With the added enhancing section within the cup to give you that extra little boost and of course that ultra sticky adhesive that won't leave any stick behind but will make sure that even under that beaming Med sunshine your bra will stay on you all night, unlike creepy Pablo at the bar!